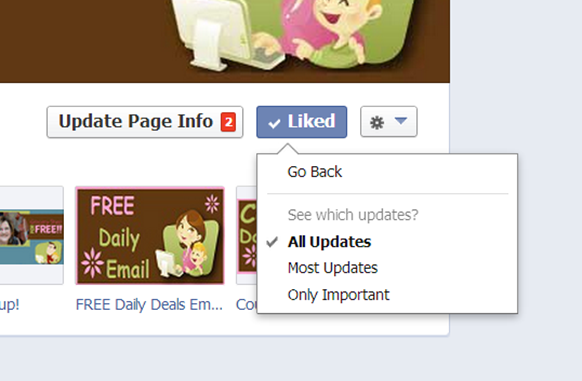 You are here: Home / Great Deals / Missing Updates On Facebook? I know that many of you are telling me you aren’t seeing the Grocery Shop For FREE Facebook updates in your feeds anymore. 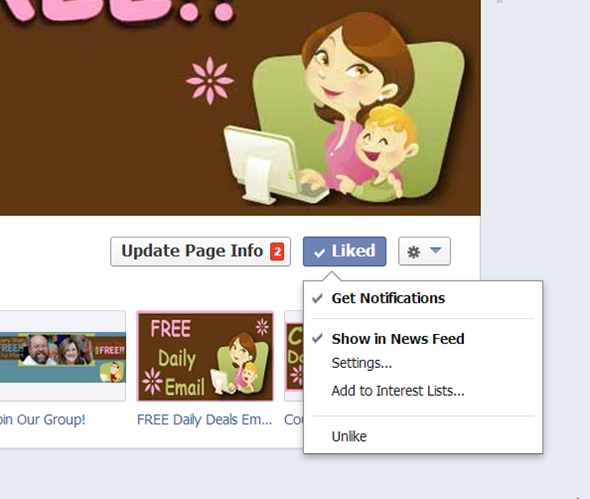 Hover over the “Liked” button (if you haven’t liked us yet then do that first! lol ), then choose Show In News Feed. Then choose your preference there. That should do it! When you “Like” a page Facebook normally sets it to “Most Updates” for you, but, if you aren’t seeing the updates, then I would take the steps outlined above to make sure you see the updates (hopefully).